It’s raining like the devil right now, “liquid sunshine” as we call it here in Portland, Oregon, but as I walked the Bichons this morning, I saw that the Andromeda is beginning to bloom, a sure sign that Spring has almost sprung. Two large, blossom heavy Andromeda, pungently fragrant, in our next door neighbor’s yard, trumpet the arrival of Spring in our neighborhood every year. As soon as we get some sun, sometime next week, I am certain that, as I leave my house, and my nose catches that fragrance, it will slap me into Spring. Roses grow amazingly well in Oregon, with our temperate climate. We do get our share of rain, but our summers are mild and beautiful, and roses basically grow like weeds. There are several beautiful civic rose gardens in Portland, and the Rose Festival, obviously, takes advantage of our great rose weather. Rose Festival events include actual Rose Covered Float parades, a big amusement park built just for the month on the Willamette River waterfront, scores of fun events, and a Princess Court, as selected from each Portland high school. 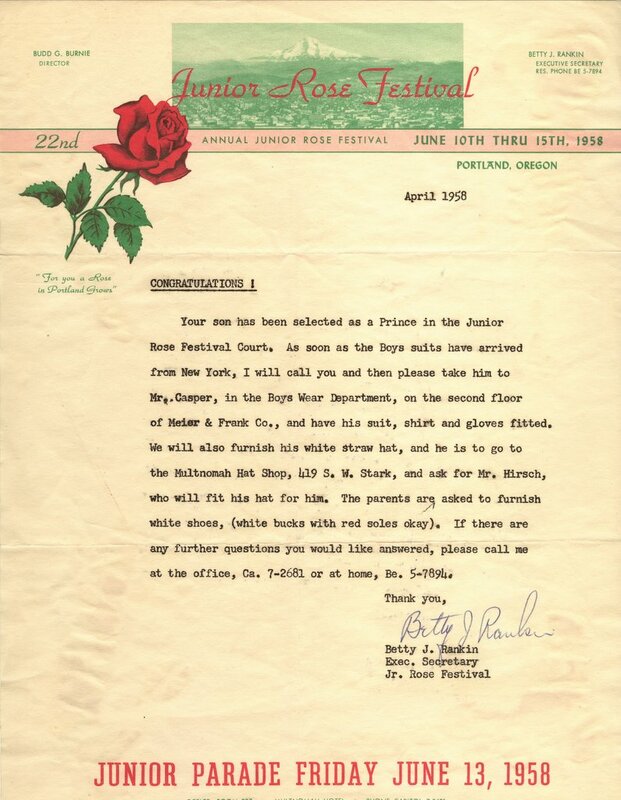 There is also a “Junior Rose Festival “ court, as chosen from the grade schools. 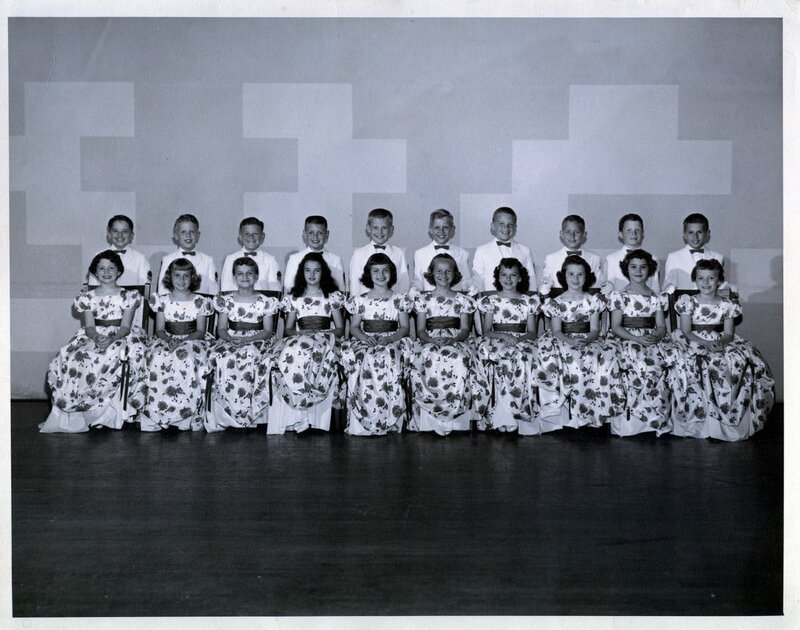 In 1958 , when I was 10 years old, I was in Mrs. McIntyre’s 3rd and 4th grade mixed class, at my grade school alma mater, Atkinson, in southeast Portland, at the foot of Mt. Tabor. To make a long story short, I was selected to vie for “Jr. 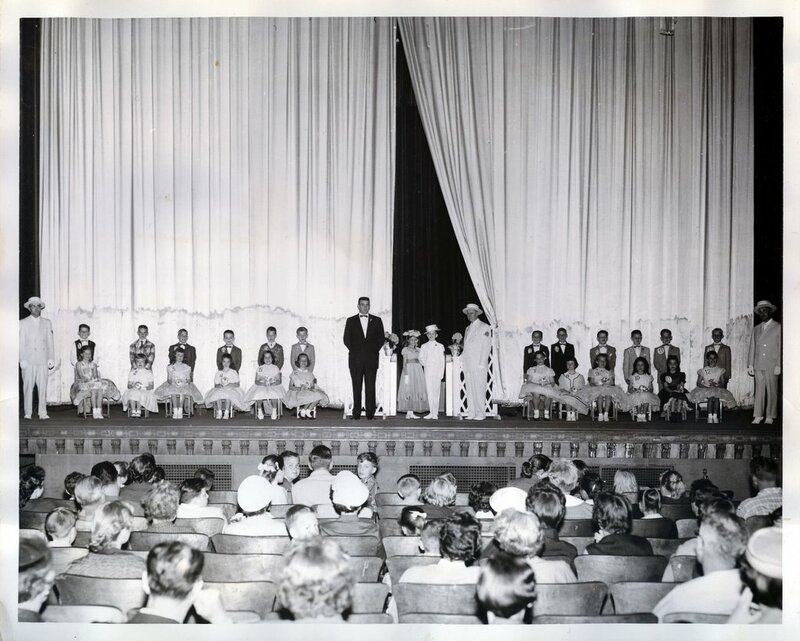 Rose Festival” prince, (I was an outgoing child) because in 1958, boys were still asked to participate in the Jr. Rose Festival Court, as princes, basically escorts for the girls who were chosen as princesses. I do recall that the process, for a little boy, was a bit rigorous, interviews and such, but I hung in there, and was selected to represent my school. “You know that I’m proud to be here tonight. You know that i’m proud of my school. So I thank you for the chance to make my plea. If you choose me tonight, I’ll try to make good. I was shocked and “proud” to be chosen as prince. The little girl who won as princess, Charlotte Larson, and I were whisked away to both of Portland’s newspapers for photos and interviews. Seeing my mug in the paper the next morning was a treat, and made me feel as though I had accomplished something. Our next door neighbor, Roland, who was like a big brother to me, and who was also our early morning newspaper boy, fashioned camelia petals to form the word “YEA!, which was waiting for me to see on our front porch when I awoke, on that beautiful and sunny May morning. The next several weeks were a whirlwind of being wined and dined and well, treated like royalty. For starters, I got the last two weeks of school off! Each morning, my princess Charlotte and I would be picked up by the little convertible VW shown here, with our names emblazoned on the side, and delivered to some extravagant event, like lunch at the zoo, visits to hospitals and fancy restaurants, complete with favors and gifts for each of us. 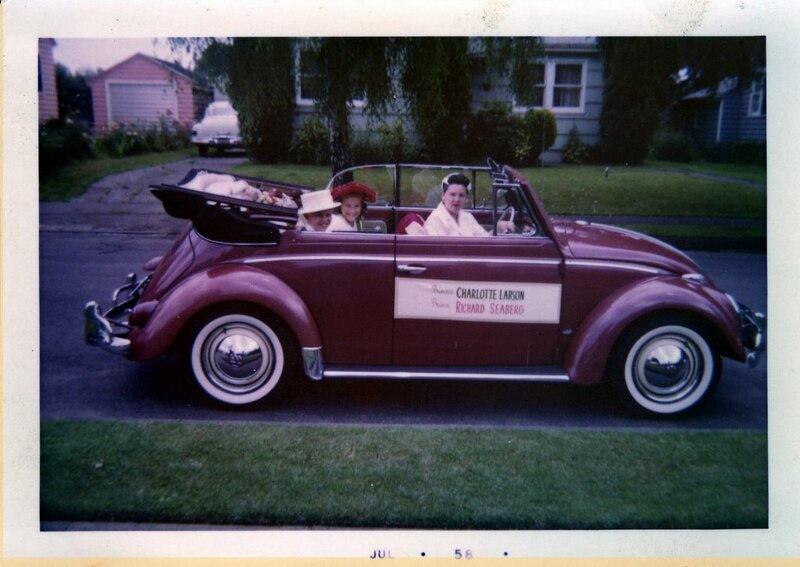 We were treated to plays and performances, ship and factory tours, TV appearances, and were positioned on our own float in several parades, and on and on. 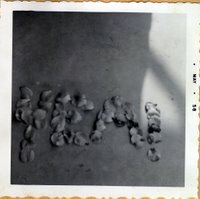 I am reminded of what a wonderful moment in time that was for me, as I gaze upon all the photos in the complete scrapbook my mother kept. It was an amazing, confidence building experience for a kid. 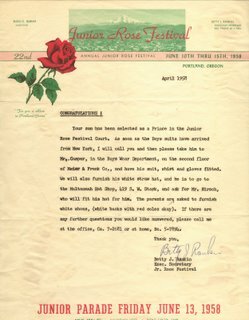 So I was saddened to learn some years later, that due to financial constraints, and perhaps since being a prince was deemed a less than manly and acceptable thing for a young boy to do (there were those on my little league team who insisted on calling me “princey” for the rest of the summer) the Rose Festival Association had decided to eliminate boys from The Junior Rose Festival. I think it’s kind of a shame. I guess I was just in the right place at the right time. I still live in southeast Portland, and go by the Bagdad theatre almost every day, and basically, love it here. The Rose Festival is coming up soon, with it’s many events and regalia, and economic opportunity for businesses and citizens. I keep my eye on the schedule in the paper, and as I drive across the Hawthorne bridge, I can see the giant Ferris Wheel on the waterfront, and sometimes smell the corn dogs and frying onions as I pass by. I don’t go to many of the events. 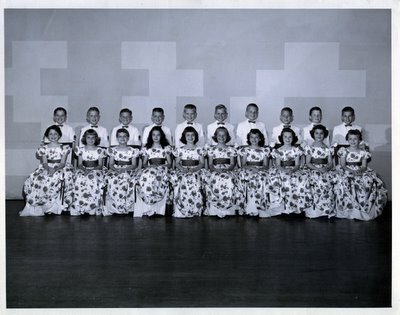 But I still remember with great fondness The Rose Festival 1958, and how it had a huge impact on me, when I was a child. My memory of it reminds me how important it is to tell the 10 year-olds in my life how special they are.